Yes, I know I'm late on getting this one posted. But, like I said, I am addicted to these challenges, I did get it done 2 days after the challenge was posted, but then I left for Florida, where I had no internet access to post. Darn. 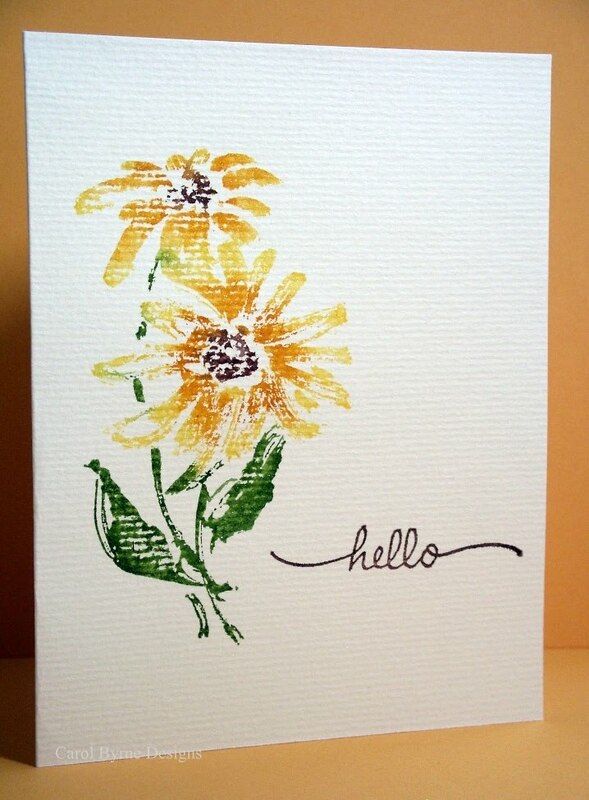 This card is for Simplicity's One Layer Wednesday 12: Watercolor challenge. I used Marvy watercolor markers on the image from Penny Black, then spritzed it with a light dusting of water before applying the stamp to watercolor paper. I'm not real crazy about the watercolor paper I used...from Canson's "Biggy Jr" pack. Maybe I used the wrong side of the paper....I just don't like all the horizontal lines. I had limited time to make this one and couldn't make a second card, so this is it. I also used a Marvy Marker for the sentiment from Cornish Heritage Farms. Off to get the current challenge done and hopefully posted before the new one is listed! Look forward to seeing you in a couple weeks. Love Penny Black!